Lights, camera, action! 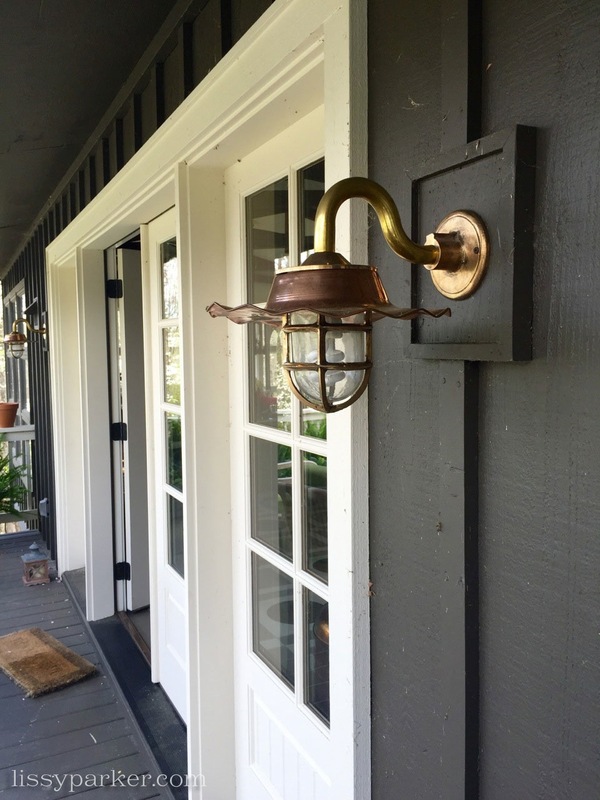 The new, old outdoor lights have been installed at the North Carolina house. You may remember the lights that I purchased at Culpepper’s Otto Depot in Otto, North Carolina. They were in beautiful shape, but needed to be rewired before they could be installed. 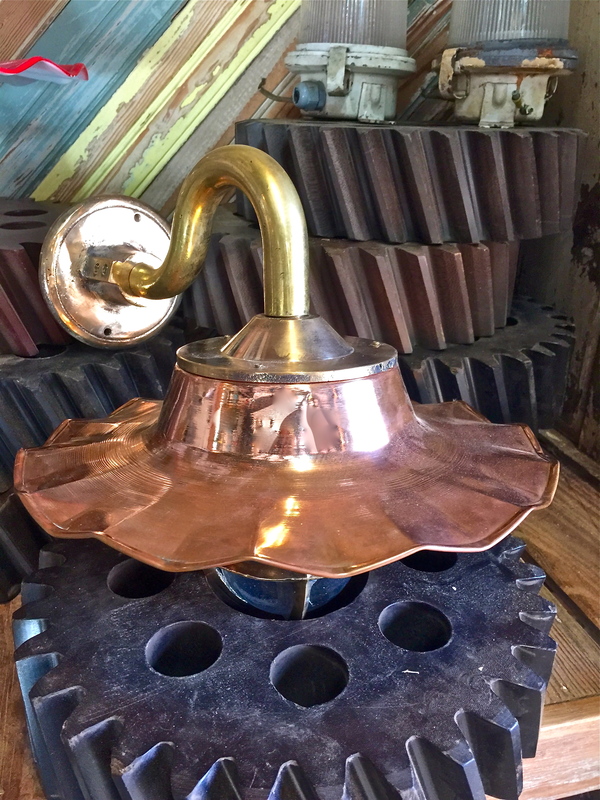 I love the combination of copper and brass for the arm and apron of the lamp, but the real attraction for me was the ruffled copper skirt that covers the brass cage protecting the bulb. I think these lights were originally used on a ship somewhere across the Atlantic. They have made landfall at the Parker house in Cashiers! Ruffles always win in my book! Thanks! I love the look and they really give off beautiful light. Love your ship lights!!! I bet they had an amazing past because I know they have an amazing new home!!! Holly, You are the best! How fun are these…love them!! Hope you’re having a great weekend!